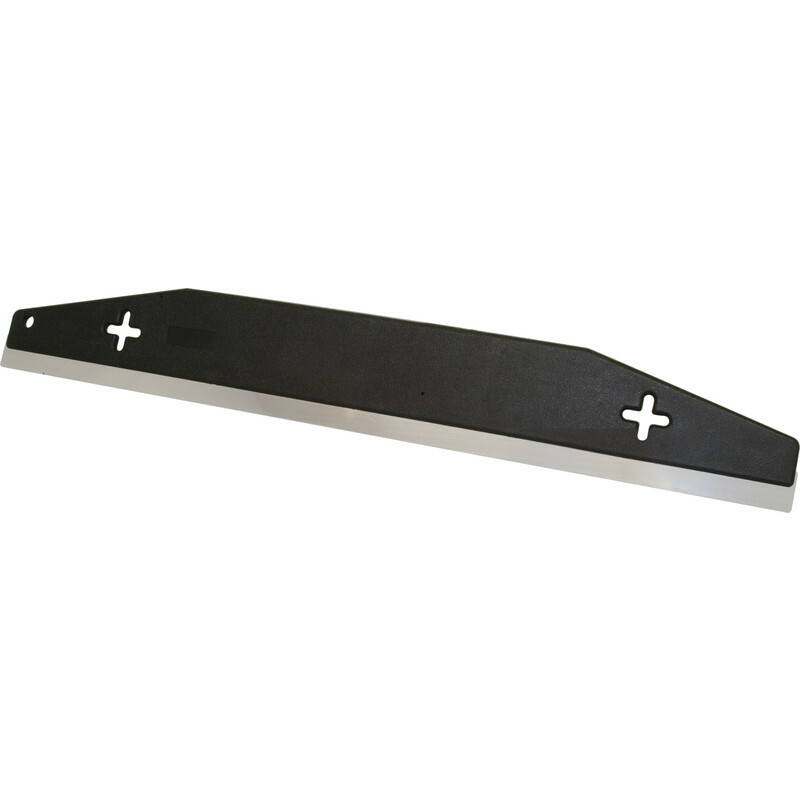 24" all purpose trimming edge for good straight edges when cutting wallcoverings. Made out of stainless steel and rigid plastic. Trimming Edge 24" is rated 4.5 out of 5 by 13. Rated 5 out of 5 by Jerrys Beekeeper from Very useful wallpaper edge cutting guide Very pleased. I found this a great help cutting wallpaper in at the ceiling, skirting and around door frames etc. All I need now is a smaller 4" version for small returns etc. Rated 4 out of 5 by Meta1958 from Trimmin* edge This is the first time I have used one of these to help with trimming wallpaper. While it can’t solve all the challenges in getting a neat, tear free cut, I did find it very helpful. Rated 2 out of 5 by wraighty from Bent Haven't used it yet but noticed it is slightly curved. Can't be bothered to go back and check against others. Rated 5 out of 5 by Laserleo from Great price for straight edge Been used to using a ruler for edging my wall paper. As these generally are to expensive for what they are. But found this one in tool station for under a fiver. Very happy with it, made my paper hanging much easier and faster. Also used with protective cover for smoothing down behind hard to reach areas. Would recommend to anyone hanging wall paper. Can also be used for painting, so you don't have to mask up. But haven't tried that yet.